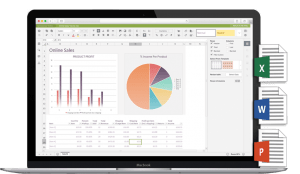 You are now able to create and edit word documents, spreadsheets and presentations in one place. Downloading a separate application, or exiting the vBoxxCloud platform to edit a document won’t be necessary, making the entire process smooth and secure. One of the main advantages of online document editing lies in the ability to let you change documents simultaneously with multiple authors. You can communicate with co-authors in real time, using the live chat or add comments for later review. Online Document Editing gives you the power to be more productive, while keeping your data private and secure. The control vBoxxCloud users, currently enjoy, was integrated seamlessly. All organization policies are applicable to files being edited, and admins are able to track and audit content. Email attachments, editing documents offline with traditional office applications and using third party chat applications are common elements when collaborating in an office. Sending a sensitive document as an attachment, can be risky in terms of privacy. Using the secure share feature, while forcing exclusive online collaboration, will help you keep track of what is happening with your documents. vBoxxCloud gives the main authors control over how users share and edit content. We have also updated the desktop client with a new user interface. Besides bringing a visual upgrade, it provides more information about cloud activity. 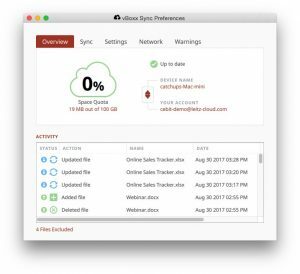 File collisions are easier to solve, and keeping an eye on your storage quota from the desktop client is easier. You will be able to download the BETA version of the sync tool in the downloads section of vBoxxCloud. Do you want a vboxxcloud account? Start a free trial here! Last but not least, the English version of vBoxxCloud.nl moved to vboxxcloud.com. Our goal with this change, is to provide a better experience for International users. We have made an effort to preserve the functionality of the previous domain, and navigating through our website is now a faster and smoother experience.